Hardest Game Ever 2 is a series of fun and exciting mini-game that measures your reaction time to the milliseconds and pixels! 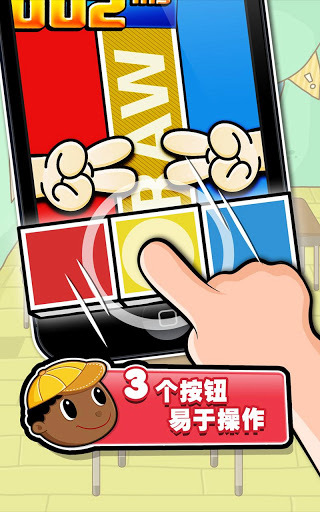 See how fast you can slap and how sharp is your reaction to catch the eggs before they touch the floor in milliseconds! Hardest Game Ever 2 promises to bring you hours of adrenaline drain! Challenge your family and friends and find out who's got the fastest reaction on iPhone/iPod/iPad/Android! HARDEST GAME EVER 2 is definitely a game you don't want to miss out! From the developers that brought you the world #1 ranking games "What's My IQ? ", "Stupidness 3", "0.03 seconds", you won't want to miss its sequel 'Hardest Game Ever 2'! Very nearly living up to its name, Hardest Game Ever 2 is quite the challenging selection of mini-games. It’s probably not quite the hardest game ever (as a child of the 1980s, I can safely say there are many, many more terrifying titles out there) but it’s certainly rather tough. A fairly shallow experience, Hardest Game Ever 2 is all about simply beating the game and maybe acquiring a few decent high-scores along the way. At first, only six “easy” stages are available to try out. Gain 3 S Ranks and unlock the “normal” levels. That’s about as easy as it gets, though. 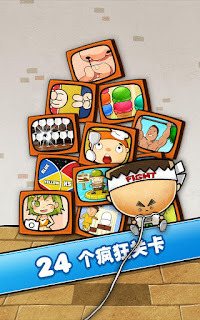 Players must have fast reactions and mental skills to traverse such varied obstacles as running to the toilet quickly, filling up ice cream scoops and dictating who wins in a game of rock, paper, scissors. 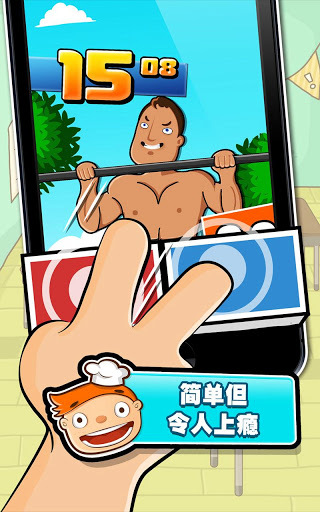 Each round sounds easy, simply requiring a tap or two of the screen at the relevant moment. With a small margin of error, and the ever ticking clock, however, it proves quite the challenge. Fortunately, Hardest Game Ever 2 manages to offer a tough Hardest Game Ever 2 any time soon, though. While 24 mini-games might not sound like a huge number, things get very hard, yet also consistently tempting to keep playing. Vibrant, arcade-style graphics capture the feel of the game perfectly, and that burst of adrenaline as finally one completes a stubborn stage is all too sweet. There are in-app purchases available for the wimps, I mean those who are struggling, but that really goes against the entire point of the game. Hardest Game Ever 2 is more about the journey than the destination, and it’s worth sticking at it. Sure, it’s a shallow experience but that brings with it a purity that is all too tempting for twitch gamers. I’d suggest paying out the $0.99 for unlocking Arcade mode and removing adverts, though. Those flashing images get all too distracting when competing with the game.